Everyone wants to know their rights after a bike accident in Phoenix, right? Let's face it, when you are involved in an accident, you probably don't know the laws at that time. You probably won't know what to do, where to turn for help, or how to proceed. And if that's the case, you won't be alone. Most people don't understand their rights after a collision. Most people are surprised to learn that bicycles are considered "vehicles" on the roads of Arizona, but that's the reality. Do not lightly dismiss your bike accident. It may seem that you and your bike are not injured or damaged, but you could find out down the road that indeed you and your bike sustained harm. Remain calm. A non-confrontational attitude will allow you to gather the information you need. Call the police. Insist that the police officer file a report. If an officer does not respond, go to the nearest police station and file a report within 72 hours. Obtain the motor vehicle operator's name, address, phone number, license plate number, and insurance information. If possible, obtain the names, addresses, and phone numbers of all witnesses. Take photos of the accident scene, your bike, all involved vehicles, and your injuries. Have your bike inspected for damage at a reputable bike shop. Retain a reputable bicycle accident lawyer, like those at Breyer Law Offices, P.C., before giving a statement to the motor vehicle operator's insurance company. Allow your lawyers to ascertain the full extent of damage to your bike and your injuries before agreeing to a settlement. A bicycle rider and a motor vehicle rider have the same rights and responsibilities while on the road. It used to be that riding a bike was just fun, but now, it's important to know the laws that you must follow. These laws are there to protect you if you are hit. More than that, it's critical for you as a bicycle rider to understand the facts regarding your accident and know how to protect your rights. In the end, that's what it is all about. Having fun riding your bicycle while also keeping safe, and if hurt, knowing your legal rights. Here are some pointers that will help you understand more about what to do after a bicycle accident. If the other driver caused your collision, he/she can be held financially responsible for your injuries and other damages. Bicyclists have the same rights on the road as other vehicles, in addition to a few more when it comes to bike lanes. If the motorist in your accident was speeding, changed lanes without signaling, pulled into the bike lane, or broke another law, you can file a claim. A personal injury attorney will not just seek damages for your injuries. Attorneys can help you seek compensation for damages to your bicycle, your hospital bills, your lost wages, your pain and suffering, and other financial detriment. Even if you weren't wearing a helmet, that doesn't mean your injuries are your fault. Arizona does not require cyclists over the age of 18 to wear a helmet, but the insurance company might try to convince you that you deserve less compensation because you weren't wearing a helmet. Never allow the insurance company to bully you or convince you that you did something wrong if you didn't. It is always worth calling an injury attorney after a bicycle crash. If you were hit by a car and sustained injuries while riding your bicycle, calling an attorney is the only way you will know if you have a case against the driver who hit you. Your Phoenix injury lawyer will look over all of the aspects of your case and determine how best to proceed to get you the most compensation possible to ensure that you are not left holding the bag for your medical bills. Being safe will not always prevent you from being involved in a bicycle accident, or sustaining injuries. You can use a headlight on your bicycle and a headlamp on your helmet, always wear a helmet, and even wear reflective clothing, but some drivers still don't pay attention. If you're a regular rider, it pays to keep identification on you at all times, take every precautionary measure, and have the name and number of a personal injury attorney somewhere you, or your family, can easily access it. Although it takes time for drivers in Arizona to become accustomed to sharing the road with cyclists, change is happening. Until the day when every driver gives cyclists their due space and respect, keep your eyes on the road and your mind on safety. 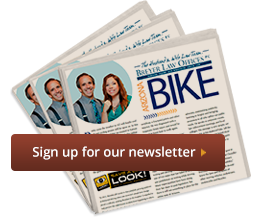 There are numerous bicycle accident attorneys, but Breyer Law Offices, P.C., specializes in personal injury claims. We are highly regarded in the legal community, are prepared to take cases (when necessary) to trial, and have on our team one of Arizona's certified specialists in injury and wrongful death (less than 2% of attorneys in the state have this certification). Most importantly, however, we treat every one of our clients with the attention he or she deserves. Many bike collision attorneys have so many clients that they become numbers. At Breyer Law Offices, P.C., our clients receive the respect and dignity they deserve. Call our experienced Phoenix bicycle accident attorneys at (602) 267-1280 and have any questions you may have explained to you in an honest and straightforward manner. Call us for a free consultation today. Phoenix Bicyclist Injury Attorney Disclaimer: The legal information presented at this site should not be construed to be formal legal advice, nor the formation of a lawyer or attorney client relationship. Any results set forth herein are based upon the facts of that particular case and do not represent a promise or guarantee. Please contact an attorney for a consultation on your particular legal matter. This web site is not intended to solicit clients for matters outside of the state of Arizona.